Your work environment can affect your productivity. It’s vital to create a dynamic space where you and your employees can enjoy working. By updating your office this year, you can boost your staff’s happiness, health, and performance and even make a good impression for your clients. 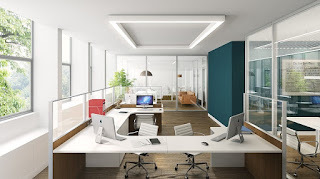 Here are 7 ideas to improve your office environment this 2019. 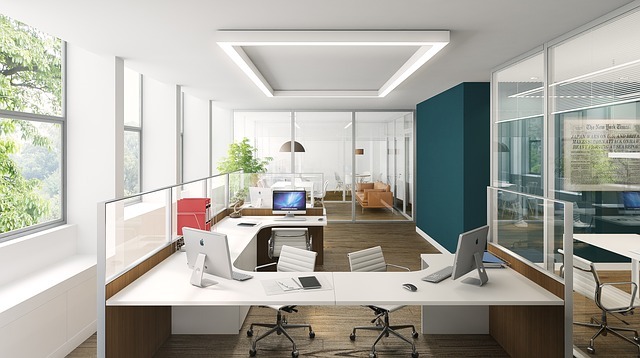 The lighting in your workplace has a direct effect on your work performance. It needs to be bright enough so as not to put a strain on eyes and to prevent accidents. Let natural lighting in by opening up your blinds. There are light fixtures that mimic natural light if windows are not an option. Also, it would be better to change your light bulbs into LEDs as they last longer, are energy-efficient and helps reduce your energy bill. When it's time to switch your old AC units, consider evaporative aircon units for your office. Such AC units are cost-effective in terms of installation, maintenance and price. They use a lesser amount of electricity but works efficiently in maintaining a cool office environment. The best part is that a good evaporative cooling in Perth works well in keeping good air quality for your office, which has a direct impact on you and your employee's health. Good Read: The Secret To Better Productivity Is In The Air You Breathe. You and your staffs deserve to take a break to prevent burnout. However, most employees have no separate room to eat on, thus resorting to them either eating on their desks or going out. If they resort to eating out, chances are they'll fail to enjoy their meal because of the limited time. Those who eat on their desks won't feel relaxed and recharge since they are still in their primary work area. A kitchenette will give them space where they can eat, take a break and socialise. You and your employees deserve to have the right kind of furniture to help you work more efficiently and productively. Pieces of furniture such as a chair designed ergonomically help promote comfortable sitting while an ergonomically designed table supports proper body alignment, thus reducing back and shoulder pain that can result in better work performance. Plants can help bring joy, freshness, and calmness to your office. These are an excellent way to go green, promote better air quality and makes your space look more welcoming to clients and staffs. Having plants around the office also helps boost work productivity by 15%. Go for indoor plants that are low maintenance and works well in reducing air pollutants such as philodendrons and spider plants. Aromatherapy is an excellent way to spice up the office. Depending on the scent you'd be using, they can have a different effect. But in general, it can help you and your team to be more productive. Citrus scents help reduce stress and improves focus while Cinnamon can help boost your energy. If you have limited space, then it's best to make use of your vertical space for your storage. First, make sure to declutter and clean your office regularly. Next, have a vertical sorter for easy access and storage. Trade your chunky furniture with affordable and smaller pieces that can fit under your desks.